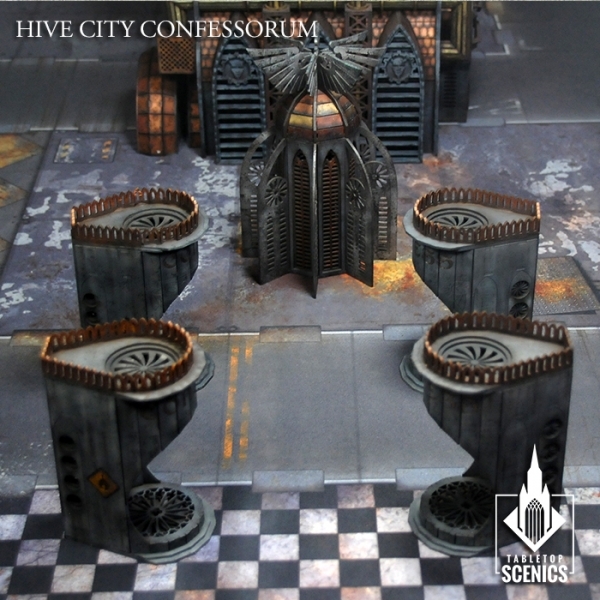 Contents of this frames may be used to make one generator and four Confession machines structures. 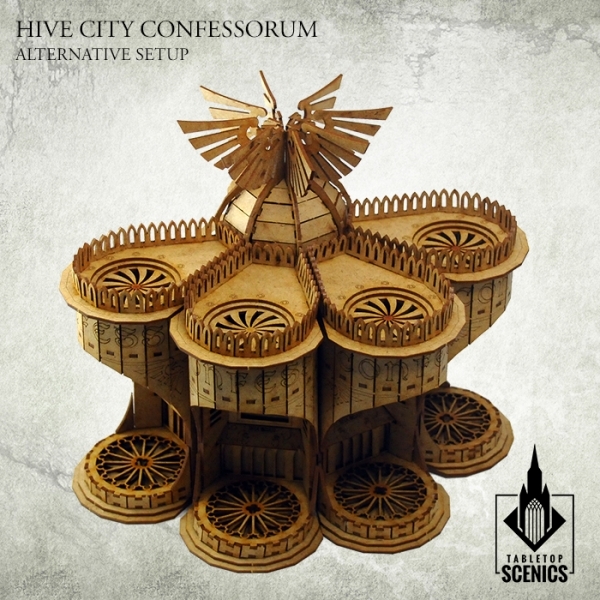 This set contains elements to assemble 1 Hive Confessorum and 4 Confession machines. 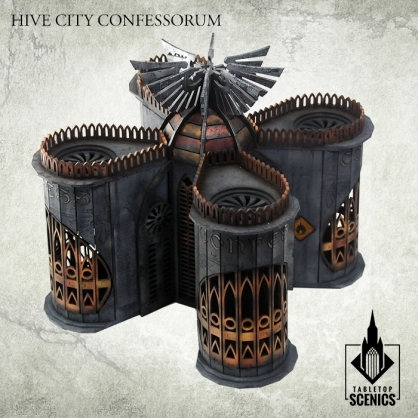 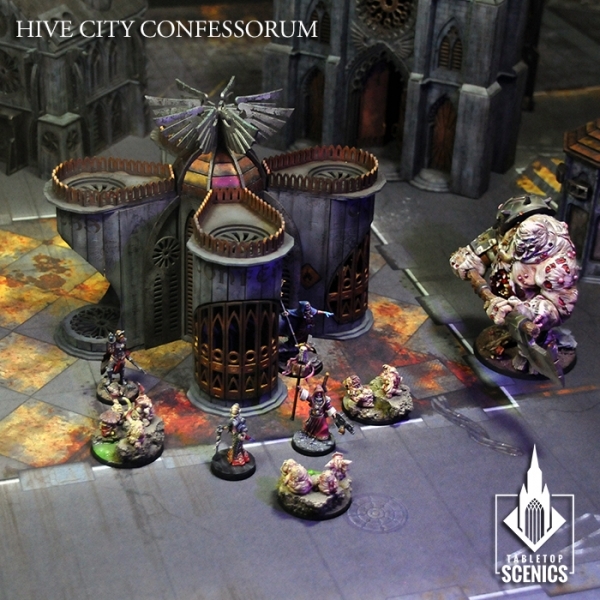 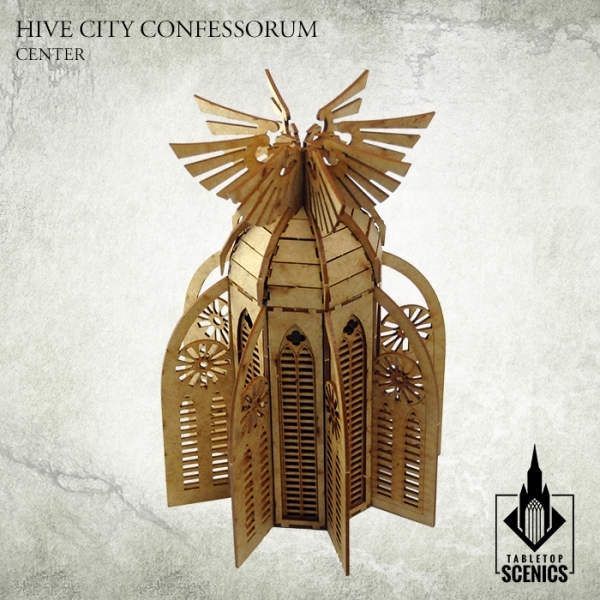 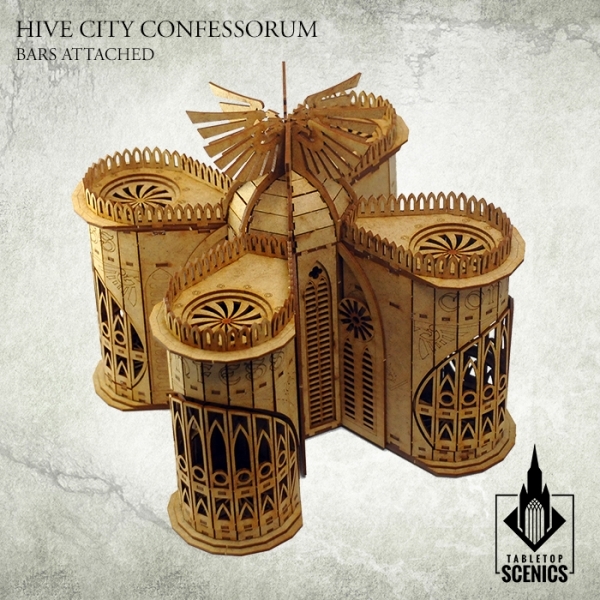 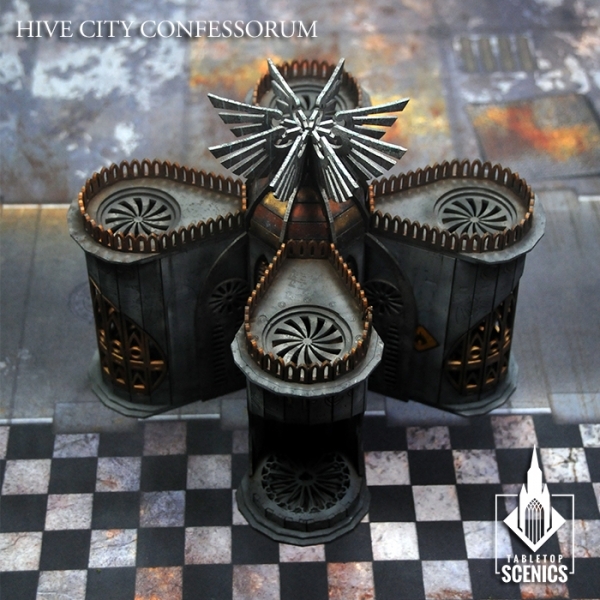 When population of hive city is undoubtfully tainted by powers of Chaos, the Ecclesiarch calls to create Hive Confessorums - places of mandatory admission, where civilians are fetched in by law enforcers. 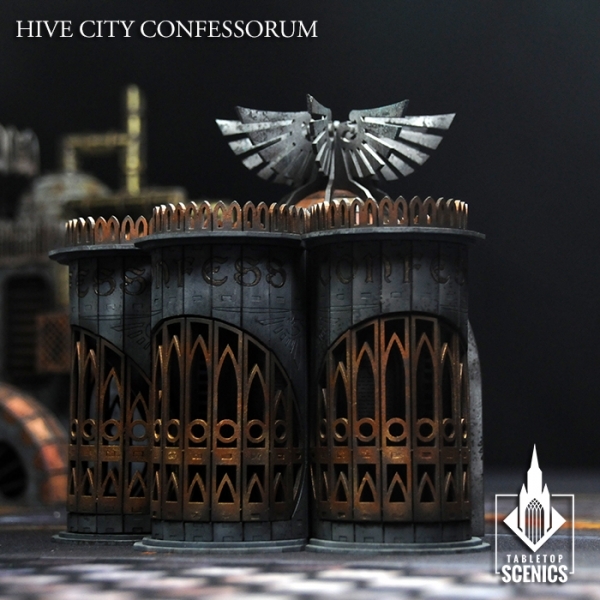 A generator-like structure, prepared by Mech-priests to fit several Confession machines, automatically checks the level of guilt and mutation in citizens. 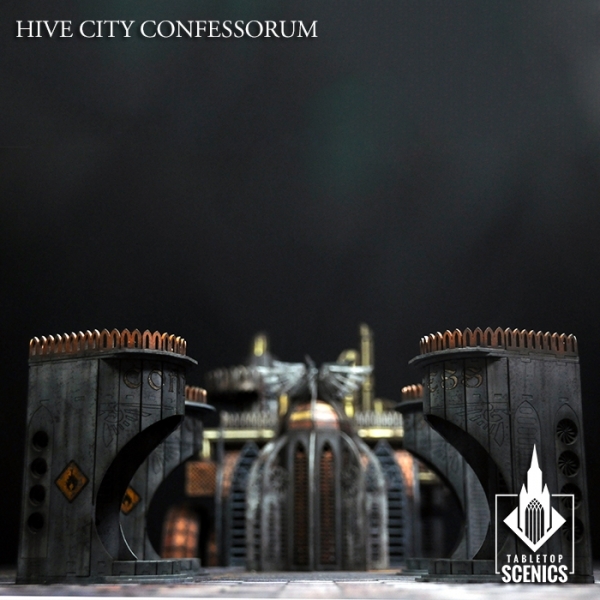 When the level is too high, adamantium gate closes and engines begins to roar as flames encompass screaming victim. 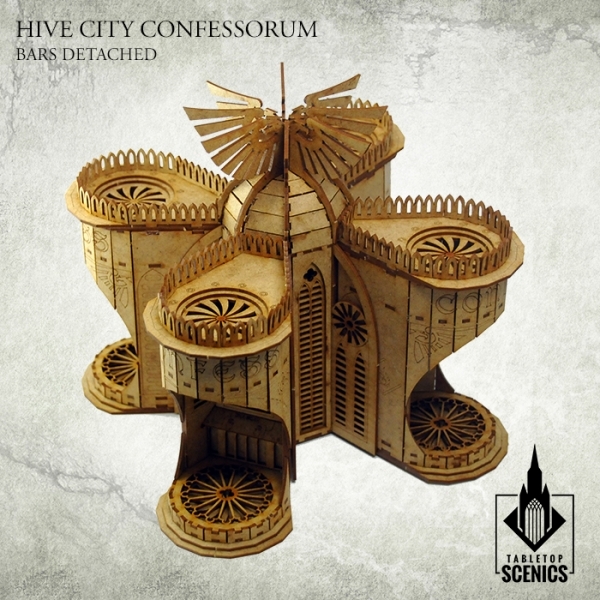 In some deserted cities, these places of execution still possess bones of the heretics inside, forever caged inside the machine which decided about their guilt.